Bourriau, Janine, David Aston, Maarten J. Raven, and René van Walsem 2005. The Memphite tomb of Horemheb, commander-in-chief of Tut‛ankhamun III: The New Kingdom pottery. Egypt Exploration Society, Excavation Memoir 71. London: Egypt Exploration Society. Davies, N. de G. 1900-1901. The mastaba of Ptahhetep and Akhethetep at Saqqareh, 2 vols. Archaeological survey of Egypt 8-9. [n.p. ]: [n.publ.]. Davies, W. V., A. el-Khouli, A. B. Lloyd, and A. J. Spencer 1984. Saqqâra Tombs I: the Mastabas of Mereri and Wernu. Archaeological survey of Egypt 36. London: Egypt Exploration Society. French, Peter 2013. The Anubieion at Saqqara III: Pottery from the Archaic to the Third Intermediate Period. Egypt Exploration Society, Excavation Memoir 103. London: Egypt Exploration Society. Giddy, Lisa L. 1992. 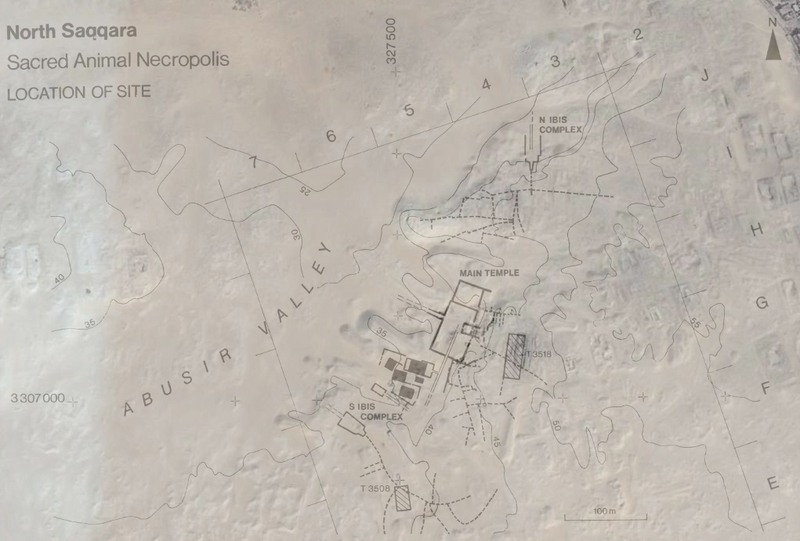 The Anubieion at Saqqâra II: the Cemeteries. Egypt Exploration Society, Excavation Memoir 56. London: Egypt Exploration Society. Hawass, Zahi 2010. The Anubieion. In Woods, Alexandra, Ann McFarlane, and Susanne Binder (eds), Egyptian culture and society: studies in honour of Naguib Kanawati 1, 181-199. [Le Caire]: Conseil Suprême des Antiquités. Jeffreys, D. G. and H. S. Smith 1988. The Anubieion at Saqqara I: the settlement and the temple precinct. Egypt Exploration Society, Excavation Memoir 54. London: Egypt Exploration Society. Martin, Geoffrey Thorndike 1981. The sacred animal necropolis at North Saqqâra: the southern dependencies of the main temple complex. Egypt Exploration Society, Excavation Memoir 50. London: Egypt Exploration Society. Martin, Geoffrey Thorndike 1985. The tomb-chapels of Paser and Ra'ia at Saqqâra. Egypt Exploration Society, Excavation Memoir 52. London: Egypt Exploration Society. Martin, Geoffrey Thorndike 1989. The Memphite tomb of Ḥoremḥeb, commander-in-chief of Tut'ankhamūn, I: the reliefs, inscriptions, and commentary. Photographs by C. J. Eyre. Egypt Exploration Society, Excavation Memoir 55. London: Egypt Exploration Society. Quibell, Annie Abernethie 1911. : The tombs of Sakkara. Cairo : Church Missionary Society. Quibell, J. E. 1912. Excavations at Saqqara (1908-9, 1909-10): The monastery of Apa Jeremias. Le Caire: Institute Français d'Archéologie Orientale. Quibell, J. E. 1913. Excavations at Saqqara (1911-12): The tomb of Hesy. Le Caire: Institute Français d'Archéologie Orientale. Quibell, J. E. 1915. Excavations at Saqqara. Ancient Egypt 1915, 6-8. Quibell, J. E. 1923. Excavations at Saqqara (1912-1914): Archaic mastabas. Le Caire: Institute Français d'Archéologie Orientale. Raven, Maarten J. 2003. Twenty-five years of work in the New Kingdom necropolis of Saqqara: looking for structure. In Hawass, Zahi and Lyla Pinch Brock (eds), Egyptology at the dawn of the twenty-first century: proceedings of the Eighth International Congress of Egyptologists, Cairo, 2000 1, 385-392. Cairo; New York: American University in Cairo Press. Raven, Maarten J., Vincent Verschoor, Marije Vugts, and René van Walsem 2011. The Memphite tomb of Horemheb, commander-in-chief of Tutankhamun V: The forecourt and the area south of the tomb with some notes on the tomb of Tia. PALMA Egyptology: papers on archaeology of the Leiden Museum of Antiquities 6. Turnhout: Brepols. Ray, J. D. 1976. The archive of Ḥor. Excavations at North Saqqâra. Documentary Series 1; Texts from Excavations 2. London: Egypt Exploration Society. Schneider, Hans Diederik 1996. The Memphite tomb of Ḥoremḥeb, commander-in-chief of Tut'ankhamūn II: a catalogue of the Finds. Egypt Exploration Society, Excavation Memoir 60. London: Egypt Exploration Society. Smith, H. S. and D. G. Jeffreys 1981. The Anubieion, North Saqqâra: preliminary report, 1979-80. Journal of Egyptian Archaeology 67, 21-23. Staring, Nico 2016. Saqqara: the history and topography of a New Kingdom necropolis. In Giovetti, Paola and Daniela Picchi (eds), Egypt: millenary splendour: the Leiden collection in Bologna, 210-215. Milano: Skira. Strouhal, Eugen 2008. The Memphite tomb of Horemheb, commander-in-chief of Tutankhamun, IV: human skeletal remains. With contributions by Alena Němečkova and Jan Šilar. Egypt Exploration Society, Excavation Memoir 87. London: Egypt Exploration Society.